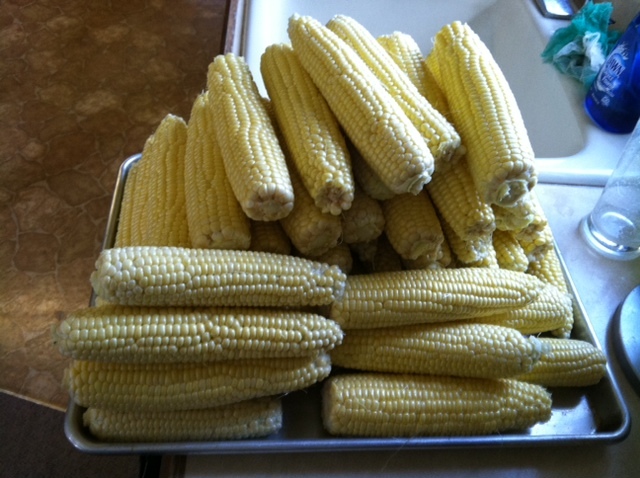 One of our family traditions every summer is to “put up corn.” If you have never heard of this before (just like me not so long ago), this is the process of cooking and freezing sweet corn for the year. It is a long and tedious task, so to make it worth while, you have to do a lot of it. We ended up filling 75 quart bags, or about 19 gallons, with sweet corn, but it took us most of the day to get the job done. We did stop for lunch to have burgers and sweet corn, of course. 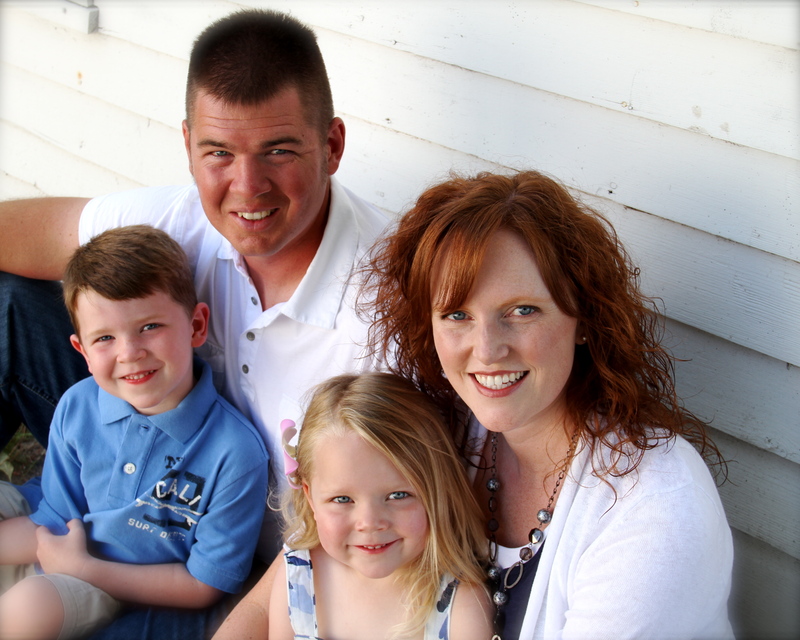 It is a family effort in that everyone has a job. My motto is, “no worky, no corny.” The jobs range from picking the corn in the field, husking it, washing it, boiling it, cooling it, cutting it, making the brine (the sweet and salty liquid you mix in) and finally bagging it. 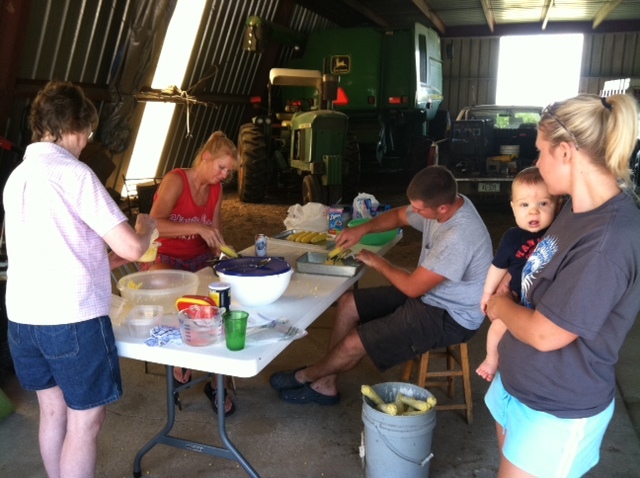 This year we had 13 people and three generations of Hengelfelt’s putting up corn! This is the second year we have hosted it at our house. The husband’s grandparents used to do it every year, but as they have gotten older, we offered to do it at our place instead. The sweet corn is on our property, so that makes it convenient. At the end of the day, we split up the bounty and everyone goes home to crash. Now we can look forward to the winter months with meals that include our tasty corn! This entry was posted in Uncategorized and tagged Common Ground, corn, family, farm, farm family, farm life, food, gardening, life on the farm, Nebraska, sweet corn, woman in agriculture. Bookmark the permalink.